Loving Care because pets are family. On behalf of our entire staff of Loving Care Animal Hospital, we would like to extend a warm welcome to our animal clinic and laser surgery center. Our goal is to provide the highest standard of veterinary care in a compassionate manner, to develop an open, honest alliance with our clients and to celebrate the human animal bond. We realize that your animal companions are beloved family members and we strive to treat them with special attention. We strongly adhere to the belief that an ounce of prevention is worth a pound of cure. Comprehensive physical examinations are recommended at least yearly with appropriate vaccinations for any diseases which your pet may be susceptible to. Senior Wellness Programs are designed to keep those pets over seven years happy and healthy into their golden years. Our Mission Statement at Loving Care Animal Hospital is to provide the highest standard of veterinary care in a compassionate manner, to develop an open, honest alliance with our clients and to celebrate the human animal bond. We realize that your animal companions are beloved family members and we strive to treat them with special attention. Dr. Joanne L. Carlson grew up on the northwest side of Chicago. She graduated from the University Of Illinois College Of Veterinary Medicine with honors in 1993. After several years in private practice, she became the Dupage County Animal Control Administrator, caring for shelter animals. Her special interest is exotic animals and she has completed an externship and fellowship at the Lincoln Park Zoo. In 1999, Dr. Carlson purchased Loving Care Animal Clinic in Rolling Meadows. In addition to managing the clinic, she currently serves on the ISVMA Board of Directors, which helps to promote public education and awareness about veterinary medicine. Dr. Carlson is a member of the Palatine Chamber of Commerce. She writes articles on animal health issues for local newspapers and does numerous speaking engagements at local schools, scouting events and pet shows. Dr. Carlson has been featured in a child safety video, "Dogs, Cats & Big Kids." Also featured on CLTV’s Money Matters, Dr. Carlson shared tips on traveling with pets. Dr. Carlson resides in Rolling Meadows with her family; her daughter Theresa and twins Julia and Jonathan. Their pets include a dog, Molly, a cat, Betty, an anole, and a bunny named Charlie. In her spare time, Dr. Carlson enjoys spending time with her family and has run the Chicago marathon three times and participates in local triathlons. Dr. Betsy North grew up in Peoria, IL. Spending many years in 4-H, she knew from an early age that she wanted to pursue veterinary medicine. She graduated from the University of Illinois Veterinary College in 1997. After spending a year practicing in a small town in central Illinois, she moved with her husband to the Chicago area. For the past 15 years, she has practiced in Evanston, IL, treating dogs and cats on the North Shore. 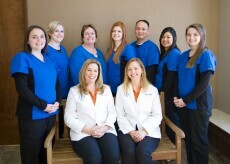 Dr. North joined the Loving Care team in the Fall of 2011. She enjoys providing compassionate, quality care for all life stages, with a special interest in pediatrics and animal behavior. Dr. North is a member of the Chicago Veterinary Medicine Association, the Illinois State Veterinary Association, the American Veterinary Medicine Association, and the American Animal Hospital Association. Dr. North moved to Rolling Meadows in 2002, and is happy to join a practice closer to home. On her days off, she enjoys spending time with her family that includes 4 children, Spencer, Allen, Alexandra, and Elise. The North family is active at Our Lady of the Wayside parish in Arlington Heights, where their children go to school. When not at the clinic or acting as family chauffer, Dr. North likes to spend time cooking, fruit and vegetable gardening, and sketching. She loves walking their dogs, Kirby and Lovebug, and playing with the family cats, Jill and Angel. 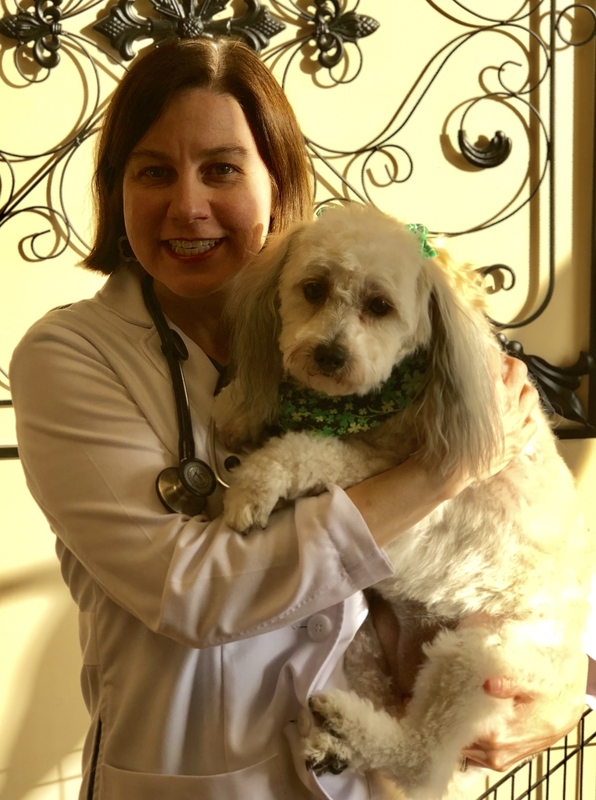 Dr. Merrill graduated from Ross University of Veterinary Medicine in 1995 and has been a part of the Loving Care Animal Hospital family since 2000. When not doing relief work at Loving Care , he makes house calls for pets in St. Charles area. He sees dogs and cats but has a special interest in exotic pets, such as birds, rabbits, ferrets, and reptiles. Dr. Merrill, his wife, and two sons share their home with four cats- Mosel, LoveLucky, QuickieSwann, and BurryTomTom- along with a Moluccan Cockatoo named Willie. In his spare time, he enjoys listening to music (mostly Aerosmith) and participating in Boy Scouts with his sons, who are also involved in video gaming, soccer, and cross country running. Dr. Leslie Gellatly graduated from the University of Illinois in 2007. She lives in Arlington Heights with her two rescue dogs: Bigsby & "Doc" Holiday. She and her family have fostered many dogs & cats over the years; and she actively supports PAWS (Pets Are Worth Saving). She is a member of The Chicago Veterinary Medicine Association and The American Veterinary Medical Association. In her spare time, she curls with her husband, Patrick, out of the Chicago Curling Club located in Northbrook, Illinois. Yes, just like you see in the Olympics. She also enjoys playing games including Pathfinder and Robinson Crusoe. She travels to Canada annually to visit her husbands hometown Richmond, British Colombia, where they fish for rainbow trout. Dennis holds a degree in veterinary medicine from the University of the Philippines. He joined the Loving Care team in 2003. Currently he resides in Palatine with his wife and daughter. Dennis has extensive knowledge and gives exceptional, compassionate care to our patients. He is a key member of the Loving Care team. Dennis has a dog named Gracie. After being an at-home mom for 19 years, Sue joined Loving Care Animal Hospital in September of 2001. She is the client relations manager at the hospital and loves being able to combine her passion for both animals and working with people. When she is not working she enjoys cooking, sewing, listening to music, volunteering at church and spending time with her husband of 40 years, three children, and four grandchildren. Carolina is a client relations staff member at Loving Care. She is currently getting her bachelor's degree at Northern Illinois University. She is also interning at Northwestern Community Hospital. Carolina has a Maltese/Poodle named Yoshi. Itzel joined the Loving Care team in 2014. She started as an intern and stayed on to help as a veterinary assistant. Itzel has a Miniature Poodle, Chifi, at home that she loves to spoil! Amber is one of Loving Care's veterinary assistants. She started out as a high school intern at the hospital and stayed on to continue helping the staff. Amber has a busy pet home with 2 dogs and 3 cats! Ashlee joined the staff as a veterinary assistant in 2016. She has a special interest in exotic animals and surgery. Ashlee has a German Shepherd, Diesel, and two turtles, Mr. Turtle and Mushu, at home. Kelli is a client relations staff member and veterinary technician at Loving Care. Kelli lives with her husband, son. Ashley joined our team in 2016 as our new professional groomer. Ashley is certified through the state of Illinois in grooming and in creative grooming through the Creative Grooming Association. Ashley has five years of experience in the field and is certified in canine CPCR (Cardio Pulmonary Circulation Resuscitation) and canine behavior. At home she provides love and care for her two guinea pigs, Lucy and Piggy as well as her two Maltese, Minnie and Trey. Kristie joined the Loving Care team in 2010. She grew up in Arlington Heights and is a graduate of University of Illinois. She is a veterinary technician on the team and has a compassion for all creatures. Kristie has a Pit bull mix, Diesel, at home. 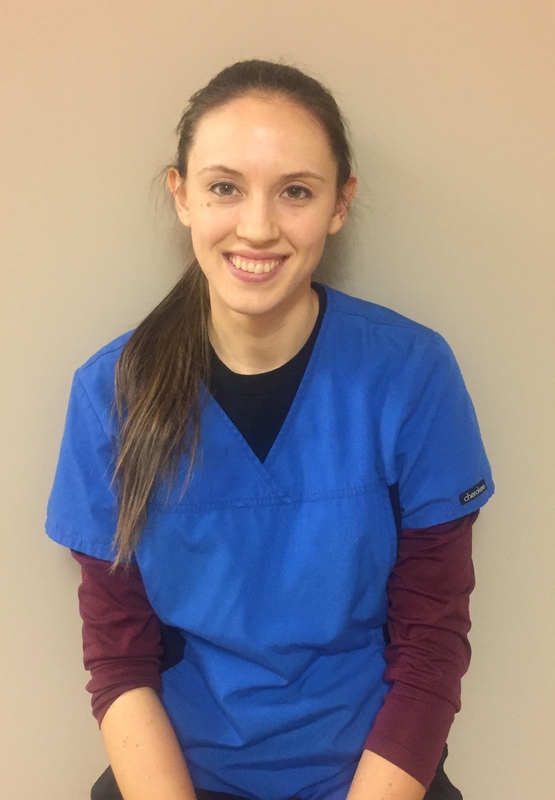 Bridget joined the Loving Care team in fall of 2018 as a veterinary receptionist. When she is not helping us at Loving Care Animal Hospital, she is volunteering with Mocha at Lovell Veterans Hospital. Mocha is her chocolate lab certified therapy dog.